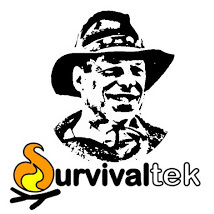 I’ve enjoyed making short videos generally related to survival skills or emergency preparedness. These videos have given me both satisfaction and some amusement from the comments. I have posted many of my videos on the video website “WonderHowTo” who is now offering me 100% of the Google AdSense money earned by the text ads on those video pages. I have listed these links (as directed) on my website in order to verify that I am the video creator. Watch my how-to video, How to make a survival fishing float bobber from a plastic soda straw on WonderHowTo. Watch my how-to video, How to make a bottle cap burner for cooking on WonderHowTo. Watch my how-to video, How to start a campfire with jumper cables and a car battery on WonderHowTo. Watch my how-to video, How to light a match without a matchbook cover on WonderHowTo. Watch my how-to video, How to make an emergency magnifier on WonderHowTo. Watch my how-to video, How to use an empty lighter to create fire in an emergency on WonderHowTo. Watch my how-to video, How to use a soda bottle to make fire on WonderHowTo. Watch my how-to video, How to use dandelion tinder to make a fire on WonderHowTo. Watch my how-to video, How to make a stove for survival training out of a soda can on WonderHowTo. If you have a “How To” video burning inside you to be produced, consider WonderHowTo as a quality place to post it. I did. 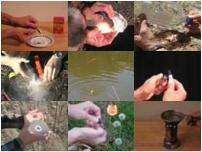 This entry was tagged Bushcraft, Firecraft, How To, Video. Bookmark the permalink.